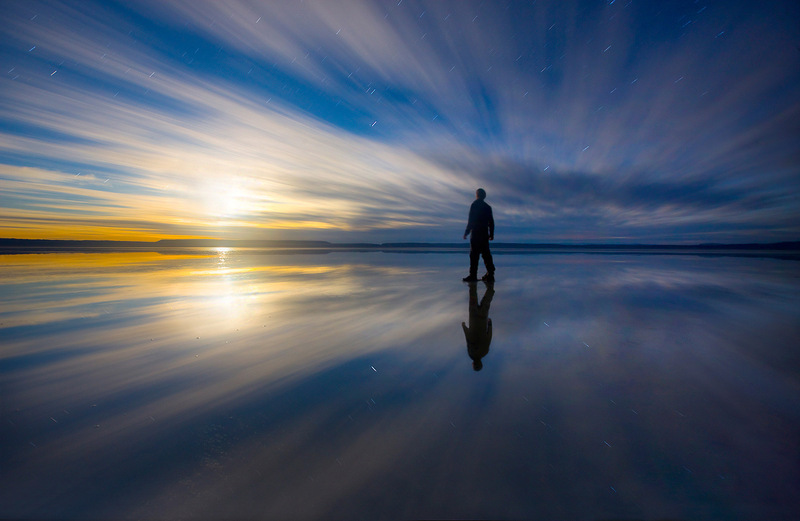 A lone figure stands still in shallow water on Oregon's Alvord playa amidst the surreal fusion of night sky, streaking clouds and reflections observing light from the moonrise. This image was made in-camera by having my subject stand still for the duration of a 3 minute exposure. Photo © copyright by Marc Adamus.